I am quite pleased with the G2's Eco switch though. Go, team EVGA. I can simply switch it while using the PC and all it does is turn off the fan, if the system is not pulling enough power to make the PSU hot. With a maximum power draw of about 350W while gaming, I doubt it ever spins. To those, who will criticise the PSU as being too powerful: The CPU can pull upwards of 170W, when overclocked, and the 970 has been shown to pull way more power than stated by NVidia. So worst case scenario power draw for this build could well be in the high 500s. 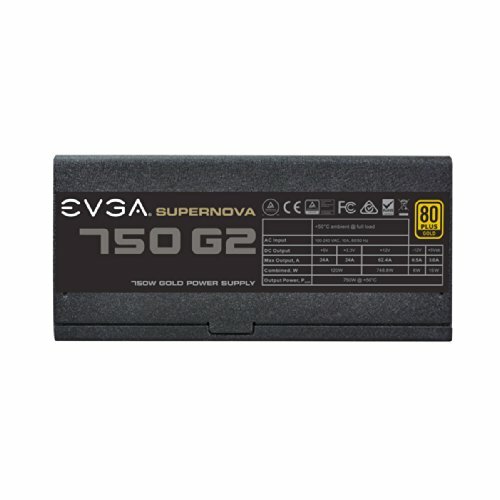 I was initially looking for a 600W PSU, but this was the cheapest that met my other criteria, so I went with it. Didn't see a point in spending more just to get less W.
It silence, but beware of it size. I originally had a Corsair CX750M picked out when I was first building my PC, but I had a lot of folks tell me how unreliable it was as a power supply in general. So I picked something that I knew was reliable, and it only cost slightly higher than what I was willing to spend. Worthwhile investment, and I haven't run into any problems whatsoever.